Pee Wee Herman will be on Broadway for six weeks this fall. Mr. Reubens said, "I can hardly believe it." The show begins its run on October 26 in New York City. Do you want to see Pee Wee on the big stage? 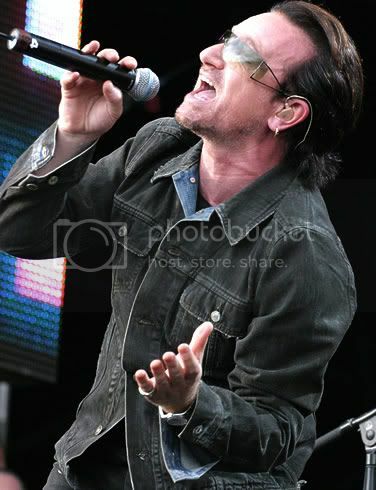 Bono injured his back while preparing for the North American leg of U2's 360 Degree world tour. He had emergency surgery in a Munich hospital. Bono will soon return home to recuperate. Once his condition can be assessed further, an announcement will be made regarding future tour dates. Lindsay Lohan was in court this morning. The judge isn't sending her to jail, but is requiring her to wear a SCRAM bracelet and submit to random drug tests on a weekly basis. Lindsay has to report back to court on July 6. It'll be interesting to see how things turn out for Lindsay. John Travolta and Kelly Preston are having another baby. They posted an announcement on their website right after last week's The Talk of Tinseltown. Brittany Murphy's husband, Simon Monjack, was found dead over the weekend by Brittany's mom. Early reports state he was surrounded by various bottles of prescription drugs. Many of these were the same ones found after Brittany died. One law enforcement source says the two causes of death that seem most plausible are natural or accidental drug overdose. Either way, it's extremely sad. Drugs are bad, people. Drugs are bad. Megan Fox will not be starring in Transformers 3. Reps for the actress say it was her decision not to return. Some say she quit because the director, Michael Bay, was verbally abusive toward her. It could be that, or she could have gotten fired for comparing him to Hitler. TMZ has confirmed that Tila Tequila will join next season's Celebrity Rehab. There's one huge problem though. VH1 and Dr. Drew are having a hard time finding participants so the show may get cancelled. I find it amazing they can't find enough participants for Celebrity Rehab. They just need to open up their latest US Weekly to find clients. Pee Wee? Really? Eww. He had his day, then he went all sicko. LiLo needs some jail time. That girl is outta control. What a hot mess! The Travoltas having another baby?? Whoa!! I am 29 and know my limits ... good luck to them! Brittany's hubby dying is sad. He obviously couldn't handle the pain over losing his wife. And Miss Tila Tequila ... I think they could pull off a full season of Celeb Rehab devoted entirely to her!! Or maybe Megan Fox could join her ... do they programs for people who's heads are over-inflated? Ha ha ... just sayin. Have a great week, Hotpants!! Why on earth is Lindsey not in jail? I think there needs to be an uprising like with Paris Hilton! I think Brittany's husband committed suicide. That is sad. Ew, I do NOT want to see PeeWee Herman ANYWHERE. I wonder if Lindsay will be like Britney...come back and be "forgiven" or if she's just headed towards a major crash. Like dying or something. I had NO idea about Simon Monjack! That is incredibly sad though not terribly surprising. 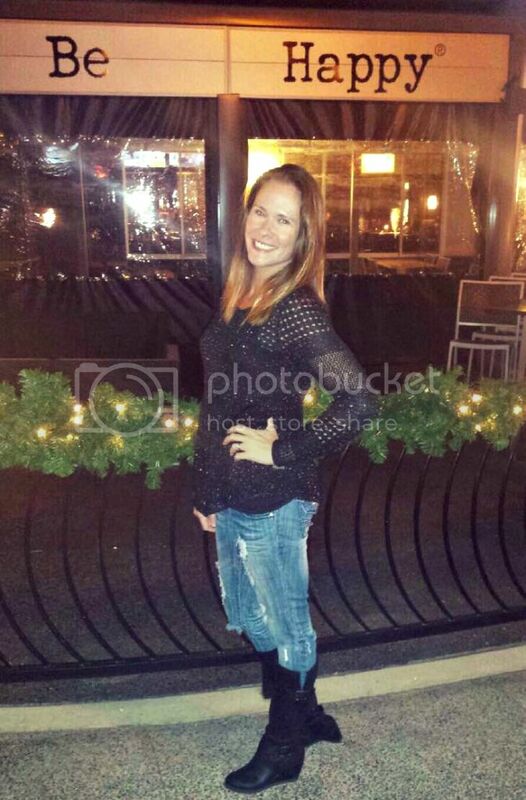 How awful for Brittany's mom! Confession: Pee Wee's Playhouse was my favorite show as a kid. But no, not interested in seeing him on Broadway. Tila Tequila is SO GROSS. The Travoltas need a bit of good fortune to smile upon them. did you hear their dogs got killed in some freak airport accident last week? And Megan Fox better watch her moronic gum flapping ways. Pretty faces are everywhere in Tinseltown. People will get tired of her nonsense awfully quick. But, none of that matters, really, when my man is holed up in a hospital after spinal surgery. Get well soon, Bono. You've got a lot of singing and saving the planet to do. Clearly, the Travoltas HAD to make an "official" announcement once you posted about the pregnancy. You're the new Perez! Way to out them! Really, they can't find enough down and out drunk celebs for that show? thanks for the wrap-up, gary! lookin' good, BTW. i'm not surprised Simon joined Brittany. i really liked her as an actress. sad. lilo needs some time in the slammer. who paid her bail since it's rumored she's broke? she lives off her paid club appearances and freebies. watched mean girls again for the umpteenth time over the weekend. she had so much potential. sad. take care. So sad for BM hubs.. I was shocked when I read the headline this morning. MFox is a beeoch.. See ya! How on earth is Celeb Rehab having a hard time getting participants?!?! Tinseltown is loaded with people who should be on that show. And yes, yes I would say Pee Wee on Broadway. Why not? Are scram anklets going to be the new hot fashion accessory? you're nobody in Hollywood if you haven't been put on house arrest. Pee Wee still scares me to this day. Creepy man. So sad for Brittany Murphy's hubby, but I read somewhere he was very distraught after her death and wasn't taking good care of himself. Yay for the Travolta's they live near my parent's in Ocala, haha. They deserve some happiness in their life. SO sad about britany, and now her hubby. Drugs are bad, Mkay. Good for John Travolta and his wife! Pee Wee? How old is that dude? i was so shocked to hear about brittany murphy's husband!! i really wonder what happened.. I love it when you do these posts! I am so excited for Kelly and John. I hope this helps fill the void from losing their son. I am also happy Lindsay is getting drug tested. It is about time! Whoa, this is the first I heard about Brittany Murphys husband! You are such a good celebrity journalist;) This is what I get for being away from the computer for four days, I miss very important news. Thank god you are here to keep me up to date! 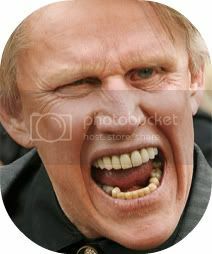 Is Gary Busey part horse? Ima gonna have nightmares about that last picture. 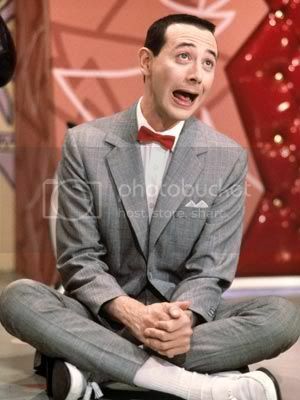 Pee Wee's hilarious! Great news - I hadn't heard a lot of it. I'm annoyed at the Travoltas. I think it's irresponsible to have a child at that age. What are they going to do when that kid is in high school? It's not going to be a fun life for the little one. I don't care that babies are the new handbags. I hope Bono makes a speedy recovery! I have friends that are supposed to be at U2's next few concerts. And...I think it was Brittany's mom. Or, at least, she had SOMETHING to do with it. Cuz that's a GIANT coincidence. Seriously? How had I not heard about Brittany Murphy's husband? I don't even know what to think about that. Disturbing. Tila probably has enough problems to fill up the whole show!